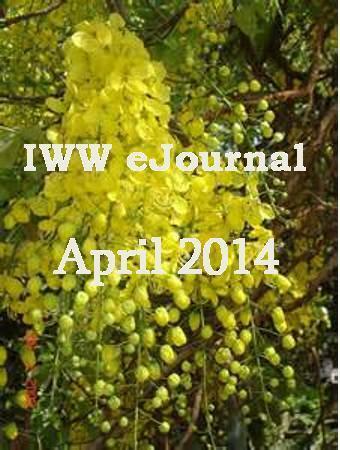 A hearty welcome to our April 2014 issue of IWW eJournal. A special welcome to our new authors who joined our team this month - Gaurav Joshi, Aastha Rudra and Sanchita Sarkar. Another happy news of this month is that Dr. Subhash Chandra, who is familiar to IWW readers with his contribution, has joined our Editorial team. As usual, this issue comes to you with a variety of literary work, including a new items, and hope you too will enjoy reading them as much as we did in presenting them to you.